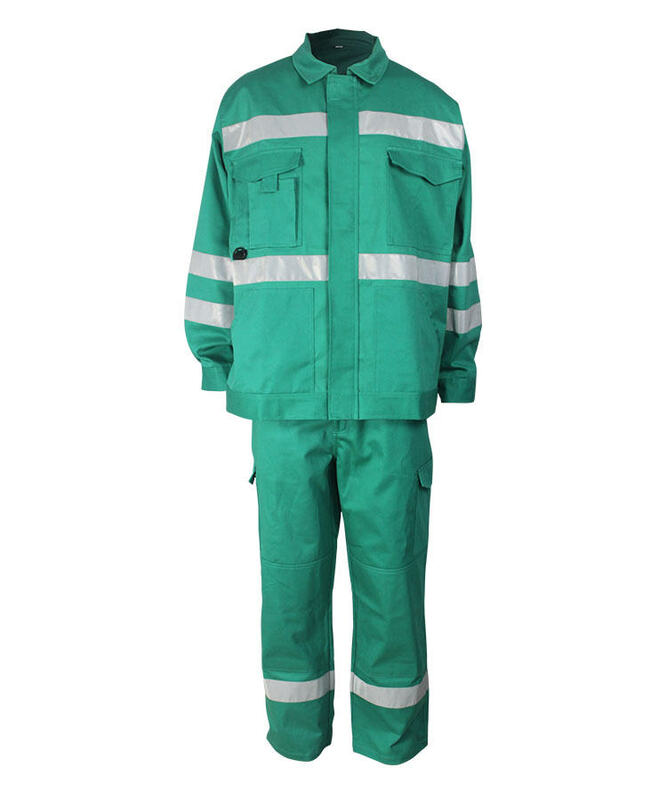 This aramid IIIA flame retardant arc proof suit made of 220gsm aramid IIIA flame retardant arc proof fabric, and can meet EN ISO 11612, EN 61482-1-2, NFPA2112,EN1149-5, NFPA70E and other standards. 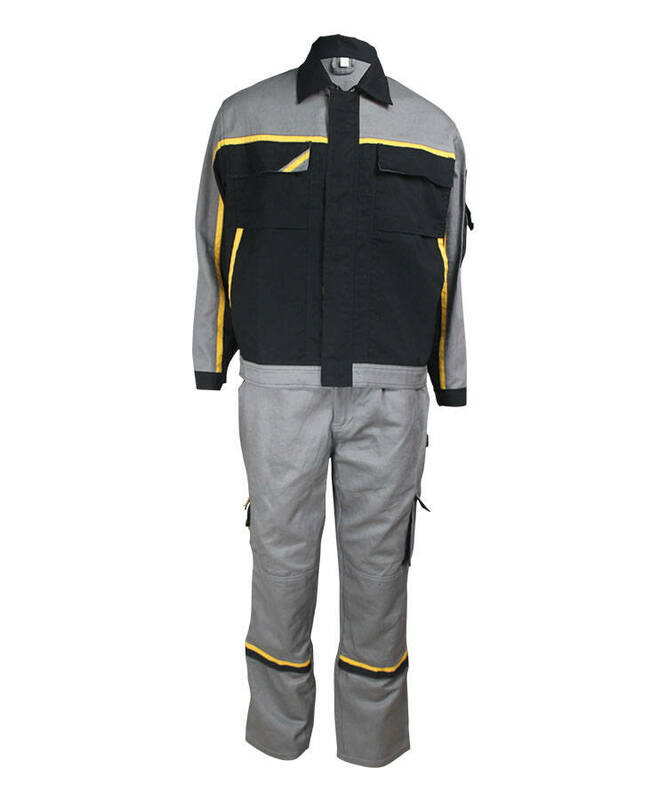 This aramid IIIA flame retardant arc proof suit has self-extinguishing when leaving the fire, without molten drop, char length can be controlled within 10cm, soft touching, good strength, good wear resistant property. 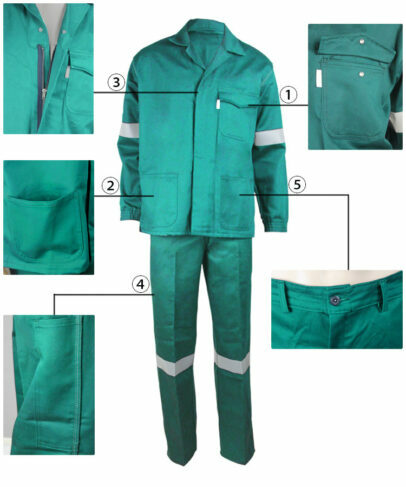 And this aramid IIIA flame retardant arc proof suit also has good elastic both under dry and wet condition, stable dimension, small shrinkage, not easy to fold, easy to wash, fast drying. 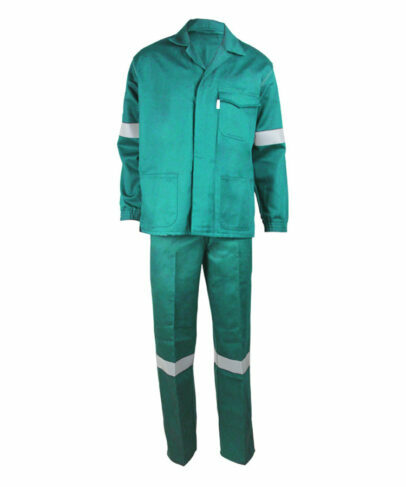 This aramid IIIA flame retardant arc proof suit has good breathability and suitable used in hot and humid conditions. 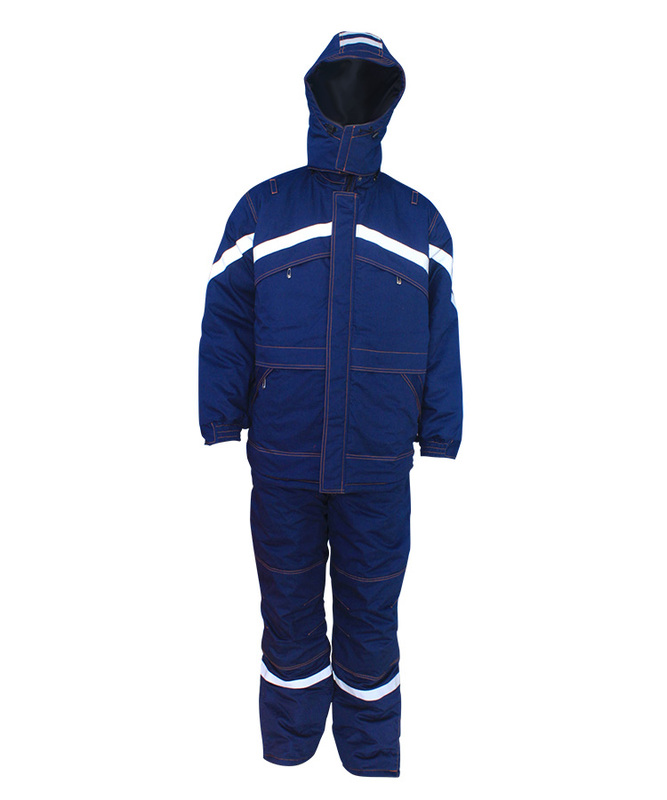 This aramid IIIA flame retardant arc proof suit' flap is closed with the rounded patch pocket on left chest by popper. 2 rounded patch pockets on the waist of front bodice. Front fly is closed with zipper and popper. 1 rounded patch pocket plus on right calf provide more space. Four eyes buckle on waistband; elastic tape on back waist can adjust the size to fit more people. 5cm of flame retardant fluorescent tape in the middle of each sleeve. 3-wire fell seam on shoulder seams, muffs and side seams have beautiful stitch and strong fastness. Hem slit on side seam. Elastic band on fold cuffs.Adjustable cuff makes clothing comfortable. Small lapel is more fashionable. 5cm of fluorescent tape on each leg. 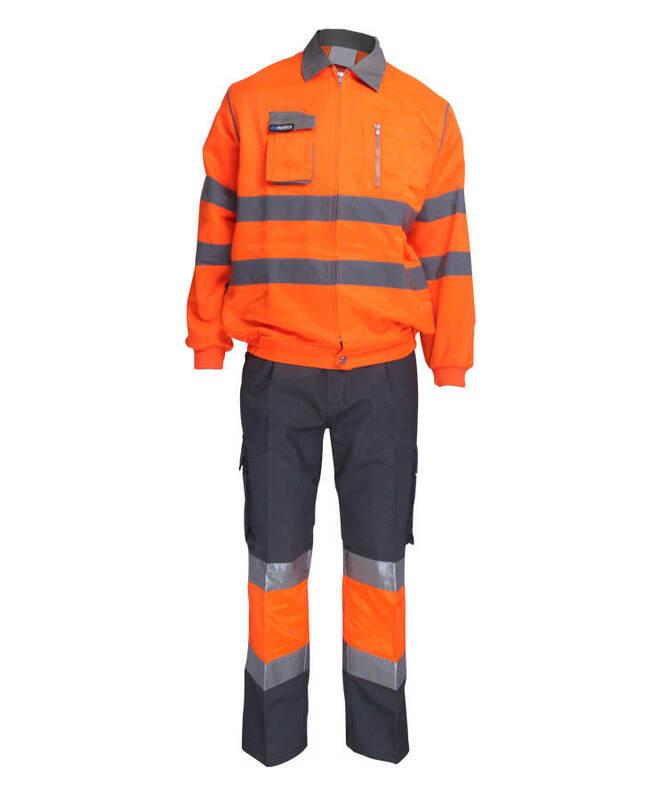 2 crescent pockets on side seam of aramid IIIA flame retardant arc proof suit trousers. 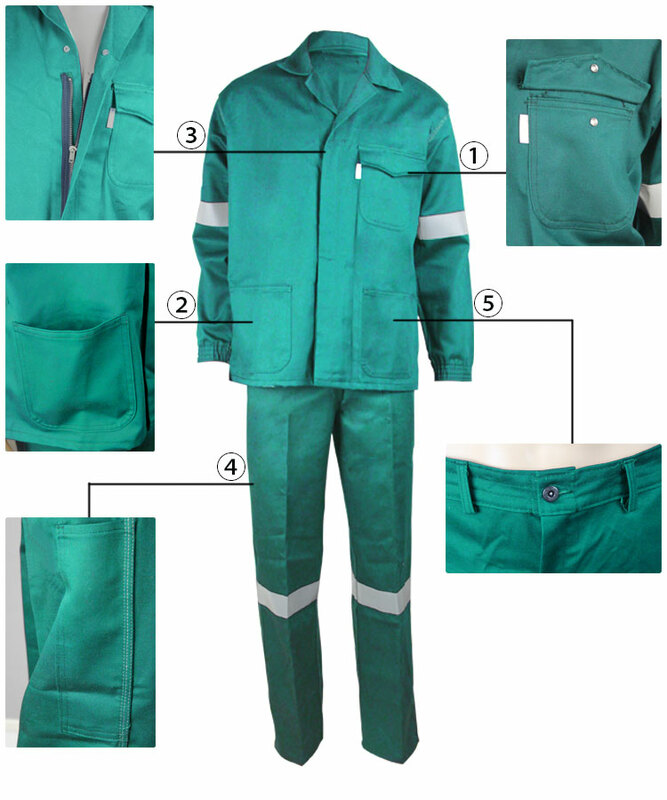 3-wire fell seam make crotch and side seam more durable. 1 rounded patch pocket plus on right hip. 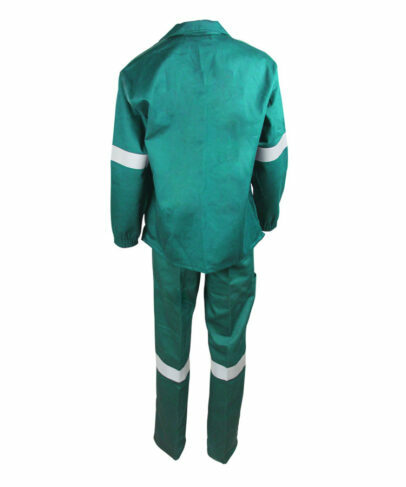 3-wire fell seam make backrise more durable. Front fly is closed with zipper and bartack. 5 of loops on waistband are fastened by bartacking.